on Wednesday revealed that the feared Boko Haram extremists were being supported by powers outside Nigeria. He said the military needed a lot of money for purchase of gadgets, spare parts and arms to completely wipe out the terrorists. 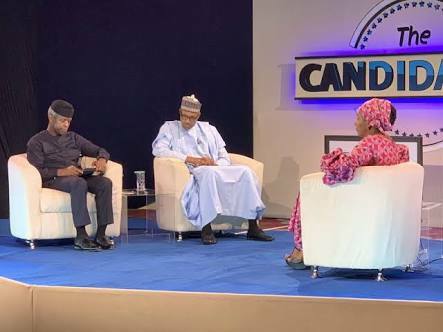 Buhari spoke during a live presidential town hall meeting tagged, “The Candidates” at the Ladi Kwali Conference Centre, Sheraton Hotel, Abuja, on Wednesday. “We need a lot of money for the military for spare parts, communication gadgets, arms and ammunition. The Boko Haram are certainly supported by forces outside Nigeria,” the President said. The All Progressives Congress presidential candidate said he became the candidate of the party because of the support of the National Executive Committee. The President was asked by the moderator what he was doing about allegations against members of his cabinet. She cited the case of a former Secretary to the Government of the Federation, Babachir Lawal, and a petition by a non-governmental organisation against the Minister for Works, Power and Housing, Babatunde Fashola. “I have to be careful. 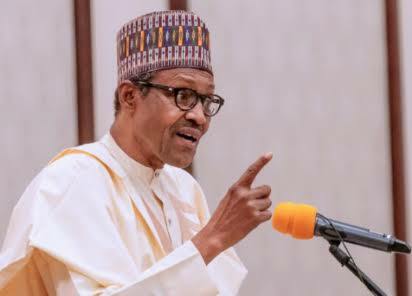 But if there are strong allegations and people have bank accounts, names of companies looted, contracts awarded, then we take them before the courts through the EFCC and the ICPC and we have to trust the system,” Buhari added. The Vice President, Yemi Osinbajo, said the case of Lawal was before the EFCC and a directive had been issued for his trial. He noted that all cases involving members of the cabinet referred to the EFCC would receive attention. Osinbajo also said the President needed another term to consolidate on the gains of his administration. “We campaigned on three fundamental issues namely, the economy, the fight against corruption and security. In those three respects, we believe that we have laid very strong foundations and I very strongly believe that we are on to much more progress if given a second opportunity,” Osinbajo said.